Building upon the TDI Gas Blender Instructor Course, the next step is taken in the TDI Trimix Gas Blender Instructor Course where the candidate will develop and master the skills and knowledge needed to conduct the this to produce custom mix gases for technical diving that include helium. As with all instructor level training, the candidate will demonstrate their ability to conduct this course with proficiency. 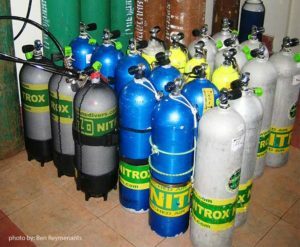 Whether you’re a dive shop employee wanting to teach the proper procedures for advanced gas blending or a diver interested in the process of advanced level blending, this course will give you an in-depth, behind the scenes perspective on how your cylinder goes from empty to full of nitrox or trimix gases.